CSCS stands for Castellón School of Cancer Surgery, an academic project that has as its core the Medtronic Chair of Surgical Training and Research at Universitat Jaume I in Castellón (Spain), linked to the Degree in Medicine and the Master’s Degree in Gynecologic Oncology through the Multidisciplinary Unit of Abdominopelvic Oncological Surgery (MUAPOS) at the General University Hospital of Castellón. About the Medtronic Chair of Surgical Training and Research at Universitat Jaume I.
Medtronic Chair of Surgical Training and Research, officially founded in 2016, has generated the development of teaching and research activities in the field of surgery allowing the consolidation of human teams and the achievement of significant advances in this area. Expanding on experimental surgery in animals. Encouraging research on new materials and instrumentation in the field of surgery. Increasing the exchange between surgeons and engineers in the progress of new materials and technological tools for surgery. Promoting surgical training for undergraduate and postgraduate students. These objectives will be achieved through a series of proposed activities which will be complemented by other actions according to current needs. Among the activities, the Master’s Degree in Gynecologic Oncology and several training courses (gynecologic laparoscopy, cadaver surgical anatomy (pelvis), colorectal cancer, cadaver surgical anatomy (upper abdomen) or oncological urology) stand out. The Multidisciplinary Unit of Abdominopelvic Oncological Surgery (MUAPOS) resulted from the need to perform a multidisciplinary management in certain pelvic diseases; especially in patients with advanced stages of ovarian cancer and also in cases of surgical rescue of highly complex abdominopelvic metastases (ovarian or any other tumors). 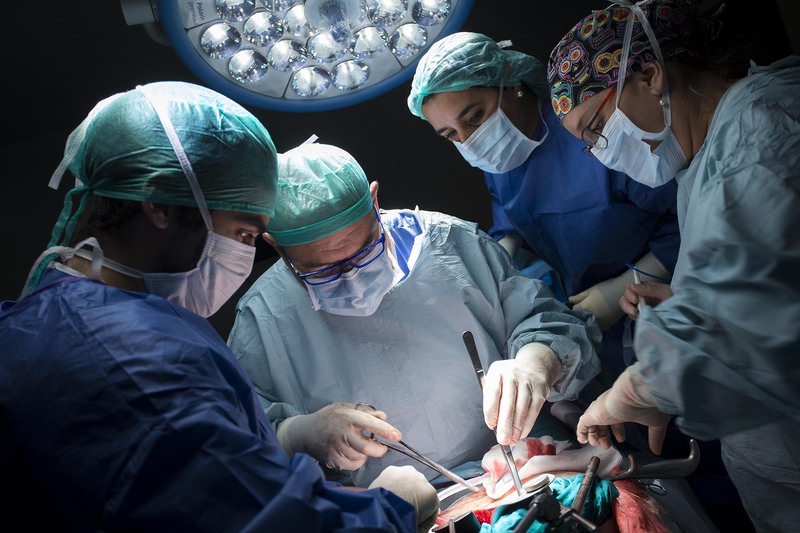 In addition, the performance of highly complex abdominopelvic oncological surgeries demanded by the different tumor committees of the General University Hospital in Castellón is essential. A unit, whose goal is to establish a model of holistic collaboration among surgery experts to ensure a multidisciplinary approach suitable for any abdonimopelvic tumor. The MUAPOS works in any hospital in the province and serves the entire health area of Castellón. 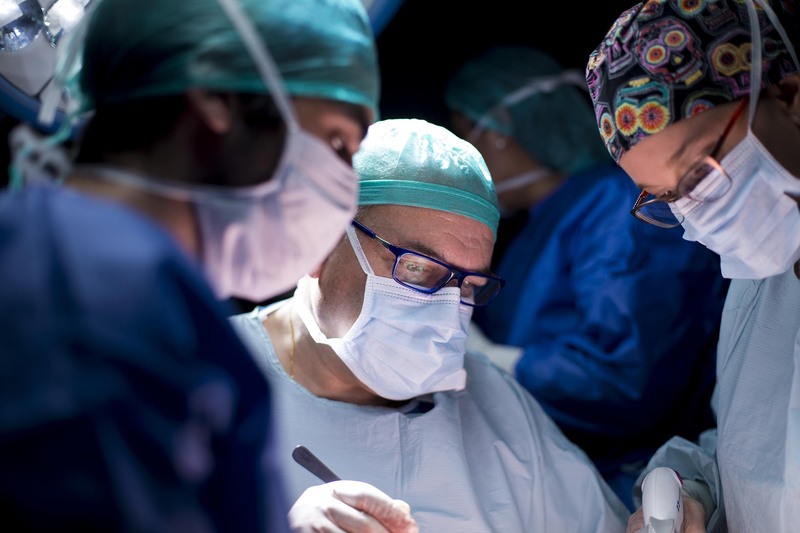 In addition, the performance of highly complex abdominopelvic oncological surgeries demanded by the different tumor committees of the General University Hospital in Castellón is essential. A unit, whose goal is to establish a model of holistic collaboration among surgery experts to ensure a multidisciplinary approach suitable for any abdonimopelvic tumor. 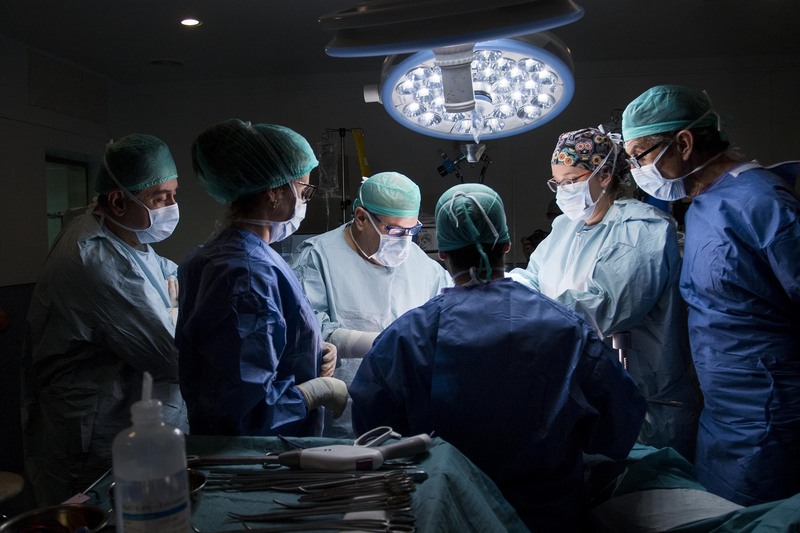 In addition, the performance of highly complex abdominopelvic oncological surgeries demanded by the different tumor committees of the General University Hospital in Castellón is essential. A unit, whose goal is to establish a model of holistic collaboration among surgery experts to ensure a multidisciplinary approach suitable for any abdonimopelvic tumor. The Unit began its activity in January 2013, since then over a 100 cases of peritoneal carcinomatosis and complex abdominal tumors have been treated. The vast majority of the tumors addressed correspond to early diagnosis and relapses of advanced ovarian cancer. During this time, the care quality received by the patients treated in the unit has been demonstrated, as well as the training and research ability of the unit members. 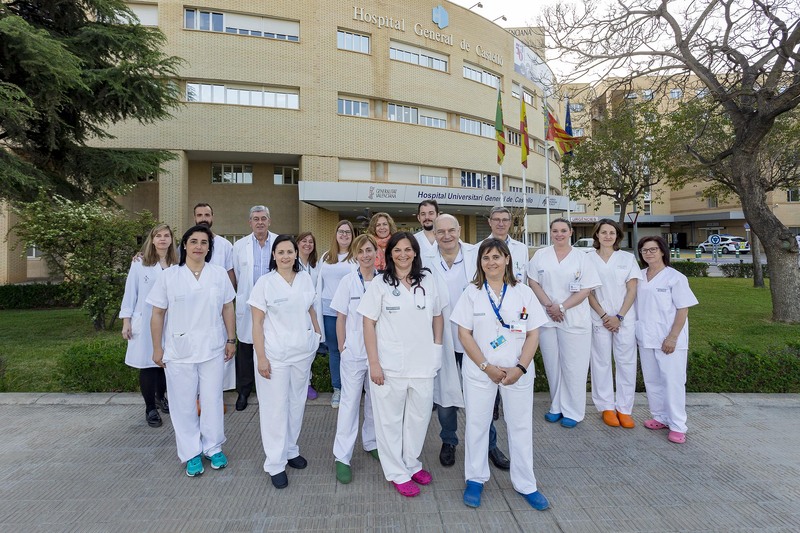 The MUAPOS team, stemming from the Tissue and Tumor Commission at the General University Hospital in Castellón, is coordinated by the oncologic gynecologist Antoni Llueca and the surgeon Javier Escrig and it includes relevant specialists in gynecology, surgery, pathology, urology, vascular surgery, plastic surgery, anesthesia, intensive medicine, oncology, radiology and pharmacy. It is worth pointing out the participation of the nursing staff from the services involved in the different stages of care, such as the operating room, the Intensive Care Unit (ICU) and the hospitalization. 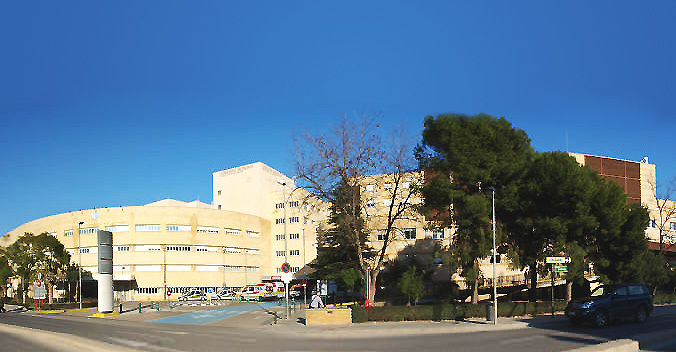 The General University Hospital in Castellón (HGUCS) is the main reference center for the Department of Health of Castellón. It has basically all the medical surgery specialties available in public health. The hospital provides assistance to citizens from the Department of Health of Castellón, being a reference hospital in the departments of Vinaroz and La Plana. 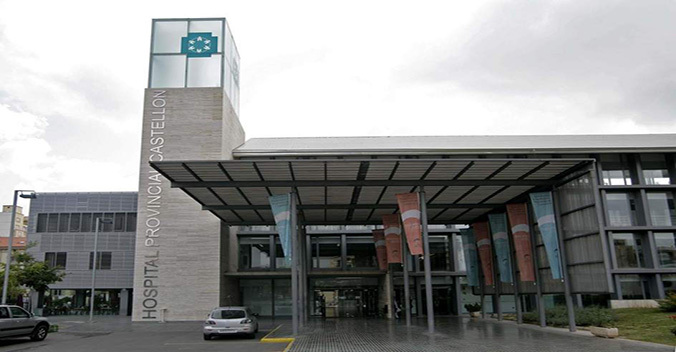 It is a tertiary hospital (maximum level of complexity) and a benchmark for the whole province of Castellón. Its surgical training record is admirable and widely recognized nationally and internationally, with services such as General Surgery and Obstetrics and Gynecology, which are a national benchmark in gynecologic oncology training and minimally invasive cancer surgery. The Provincial Hospital of Castellón is a reference healthcare institution in research, oncology, mental health and ophthalmology with 800 years of history. A public hospital, modern and functional with professionals of recognized prestige that work to offer healthcare that seeks excellence.